Anyone who has read some of the earlier entries in this blog cannot fail to be impressed by the speed at which our public health science is evolving and the rate at which our medical microbiology is modernising. Of course, these days our Information and Communications Technology (ICT) is at the very heart of everything that we do. This may be the sequencing of infectious disease agents, the now ubiquitous and fashionable personal e-health applications or the way in which we are using digital solutions to deliver and promote our public health messages through portals such as Longer Lives. There are modern demands on ICT which include recognising the power of knowledge and the part that it plays in providing accurate surveillance and health indicator information. On the scientific side, we are turning around our clinical samples faster than ever before by the greater use of technology within our laboratory network. This, coupled with more automation of data gathering and dissemination, allows us to intervene earlier and improve patient outcomes by providing a service which is becoming increasingly personalized. A term has increasingly pervaded our ICT world; it’s called “high performance computing,” or HPC for short. 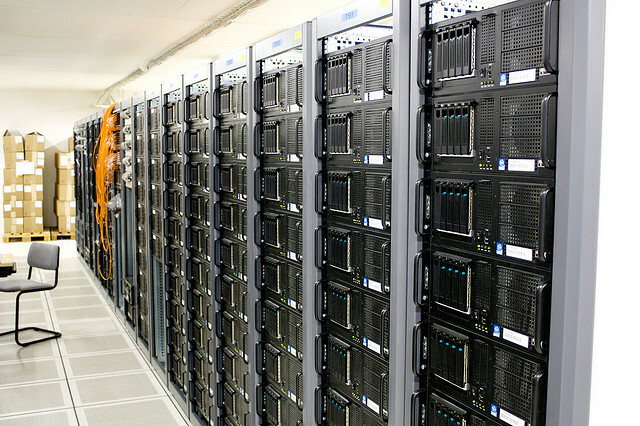 HPC is a term that wraps up the use of advanced data storage technologies, fast networks and powerful search engines to manage the large amounts of information or “Big Data” that our scientific processes are now generating. HPC is essential to support the new molecular based approaches to microbiology and also, in some areas of public health, to create complex statistical and dispersion models to predict and help prevent the spread of disease or protect us all from the effects of an environmental pollution event. So just how close is ICT to the frontline anyway? Not so many years ago, all you would have needed to do to confirm that a patient was suffering from Tuberculosis (TB) would be to assay using some growth media, your processed specimens and a few watts of electricity to incubate your inoculated samples for six to eight weeks. Of course you would have needed a pen and paper to record the result and inform the clinical staff. Not much, if any, ICT involved. I simplify to make the point but a shift to whole genome sequencing for the assay of TB will allow us to provide that result nearly 20 times faster. We will also be able to give more precise information on exactly how best to treat the patient and with what. This shift to sequencing for routine microbiology assay operations however is creating huge demands on our ICT and technology. It would be impossible without it. Working in ICT used to be all about providing what today we call “ICT commodities”. These commodities may be described as the consumable services that we all use such as email, remote access or telephone systems. They are of course still very important but our world in ICT has changed and a changing world means recalibrating our focus and our priority. Now our world is more about our “big data” and the rate at which we can process it. Our world is all about robotics to manage our samples and automate our analyses and it is all about bioinformatics pipelines to interpret the huge amounts of raw data that our scientific kit generates. As an ICT team, today we are a very long way from the “back office” in which we have been typecast for too long. We work as partners with public health professionals, information and knowledge officers, medical laboratory scientists, bioinformaticians, pathologists, disease specialists and research scientists. Our focus and direction has to be on the differentiating services that define public health rather than the commodities which we provided in the past and which now can and are provided by others. Our cutting edge science must be underpinned by cutting edge, agile and responsive ICT that allows innovation from a creative workforce. We will meet these challenges by continuing to enhance our technical computing capability, exploring horizon technologies, effectively managing our capacity and developing novel solutions for “Big Data”. 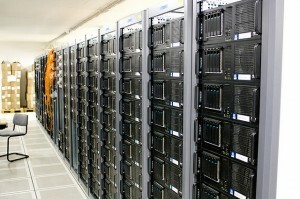 Featured image "Server room" by Torkild Retvedt. Used under Creative Commons.